One of the many, many tests that are part of diagnosing the cause of infertility is the DNA Fragmentation Test. It's a pretty simple (yet expensive and not covered by insurance) test done on a sperm sample that must be performed within two hours of collection. Patients can give the sample at the clinic, but The Husband drops The Parasite off at daycare and changes in her routine are not well tolerated. I work around the corner from the clinic so we decided it would be easiest on everybody if we collected the sample at home and I just dropped it off. 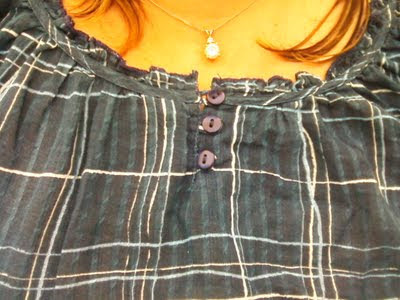 Yes, I just posted a picture of my cleavage. My mother would be SO proud. Anyway, was it obvious to everybody I rode the subway with this morning that there was a sperm sample in there?